Recruiters can often have a hard time assessing the technical capabilities of applicants for software development roles. While they may know the names of the skills and technologies needed by the business, it usually isn't until a coding test or on-site interview with another developer that an applicant's technical ability can be determined. In fact, a 2017 report by Glassdoor showed that the average amount of time to fill a position is 23.7 days, with 80% of employers saying that one of their main difficulties when hiring for a role was that they received too many underqualified résumés. We want to save recruiters time when hiring by taking the guesswork and tedious résumé skimming out of the initial hiring process. 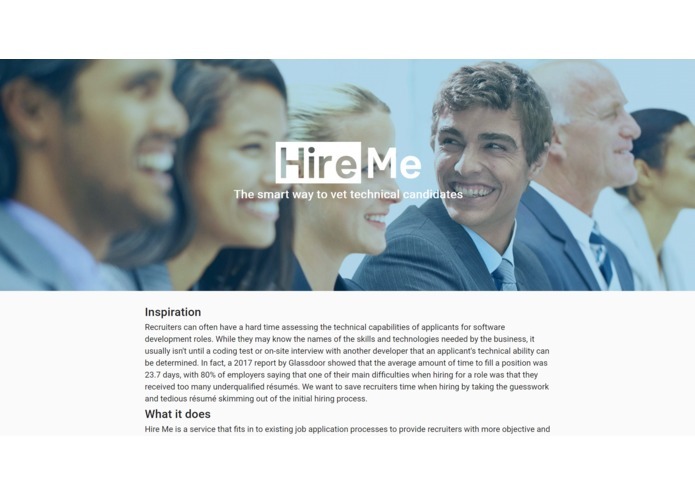 Hire Me is a service that fits in to existing job application processes to provide recruiters with more objective and useful metrics of technical ability. 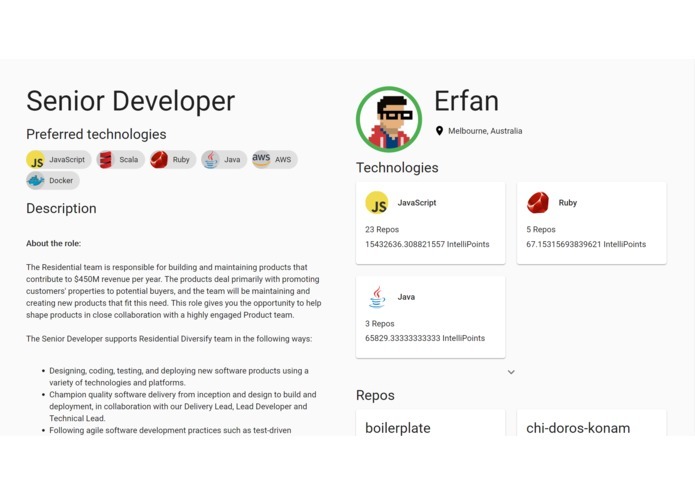 When a candidate completes a job application with a participating recruiter, our platform allow the recruiter to analyse the candidate's Github code repositories. Our scan identifies all of the languages and technologies the applicant has used, along with information about how much experience they have with them. Results from these scans are then made available to the recruiter through a dashboard, showing a ranked list of applicants depending on how proficient they are with the relevant technologies for the role. This provides recruiters with an easy and more objective way of comparing applicants, helping them make better decisions and avoid bias. We also hope that Hire Me will save companies resources when hiring, by helping recruiters to reduce the total pool of applicants they have to interview. 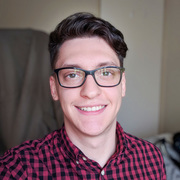 Hire Me is built with the React, Firebase and Node.js Express frameworks, with a heavy focus on Github API interactions. 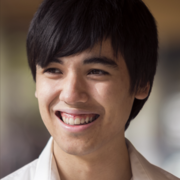 We also used Python to populate job listings from real-world data to save recruiters from manually copying listing information from other sites. We split our work by having half of our team craft the frontend UI and backend server logic, with the other half concentrating on fetching the listing data, practicing our pitch, and helping out others. We initially had trouble deciding on the scope of our project. We each had many different ideas for what we envisioned Hire Me could be, so coming up with a unified vision took some time. We initially had some difficulties figuring out how to authenticate users with Github using OAuth. We ended up having to monitor network requests to step through individual HTTP requests. Ensuring that our service handled user's authentication tokens in a secure manner by only using them once and not saving them took some time to implement correctly. Setting up our project to easily deploy to Firebase in time for the submission deadline presented some challenges. Getting the population of job listing information to work reliably and quickly was difficult given no APIs were available. We had to almost read through Github's entire API documentation to determine how to perform certain actions, such as retrieving a user's repositories. Debugging our React frontend and Express backend took a significant amount of time. Getting our page layout, component logic and server data processing mechanisms get work correctly together in the short amount of time we had was challenging. There's only so much we could do within 24 hours. 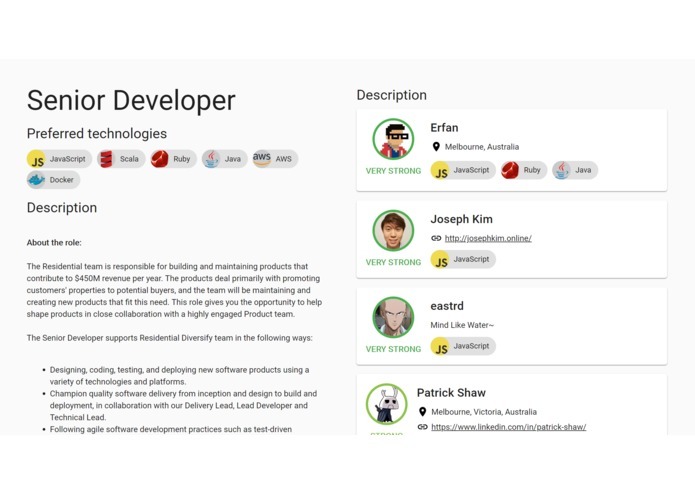 We plan to add more accurate measurement tools such as code quality checking, allow developers to see what jobs they can apply for, as well as integrations with job listing APIs and company talent sourcing platforms. 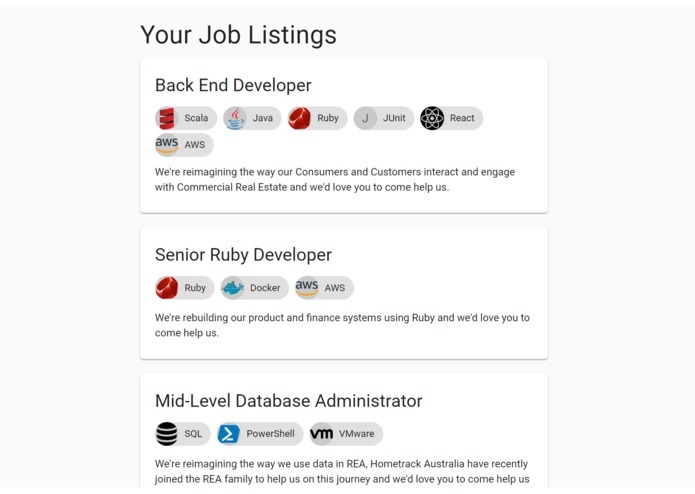 I worked on scraping job listing data, pair programming backend and frontend nodejs modules. I worked on the Github OAuth integration and at some point realised we needed a back end server. I was then in charge of setting it up and creating all the logic relating to drawing from the Github APIs post-authentication.